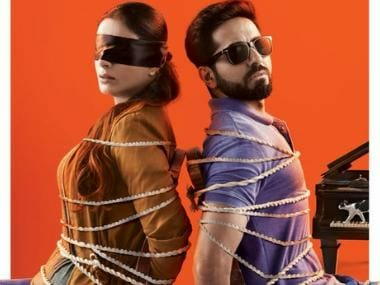 Ayushmann Khurrana's Andhadhun seems to be gaining momentum at the Chinese box office after its release in the country. The film has now amassed a total of Rs 181. 27 crores after the second weekend. With the Friday and Saturday's earnings, the film has managed to cross the $25 million mark in two weeks. These figures rank Andhadhun higher that Hindi Medium's release in China (which released at the same time in 2018). The film recently crossed the Rs 150 crore mark after its first week collections. While the Sriram Raghavan directorial earned a total of $2.03 million on Friday, its Saturday collections almost doubled up to gross $4.39 million. Also featuring Tabu and Radhika Apte, Andhadhun is a comic-thriller which deals with the mysterious tale of a blind musician.